It's been a long time coming, but one of Edmonton's highly anticipated restaurant openings of 2016 is here. After two highly successful restaurant openings, Chef Daniel Costa's third restaurant quietly opened it's doors to the public this past Friday. Uccellino, which translates to 'little bird' in Italian, is located to the west of its two older sisters Corso 32 and Bar Bricco. 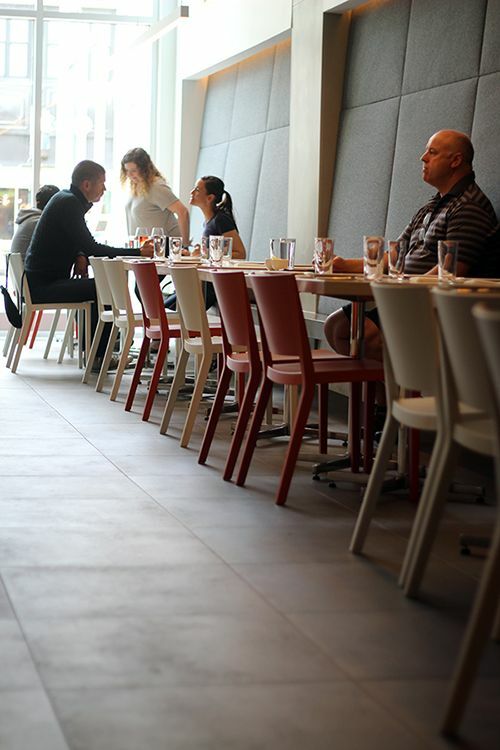 The space is quite different from Corso and Bricco, as Uccellino is lit by natural light through a big front window and is more spacious with high ceilings and larger square footage. The dining space features neutral tones and minimalist decor, giving it a great modern, casual vibe from the moment you walk in. 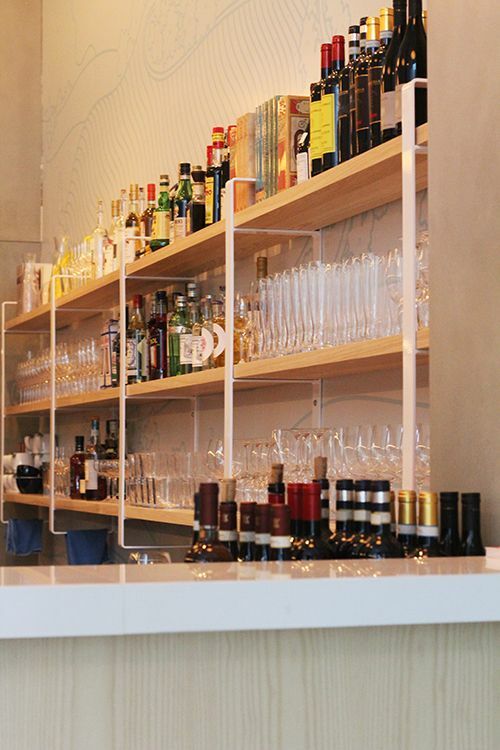 Given the larger space, Uccellino can seat roughly 70-80 guests, and the top floor hosts a space for private dining. Reservations at Corso 32 are difficult to score without advance booking, and Bar Bricco can have long wait times, so you'll be glad to hear that half the seats at Uccellino will remain unreserved for every dinner service. How great is that? 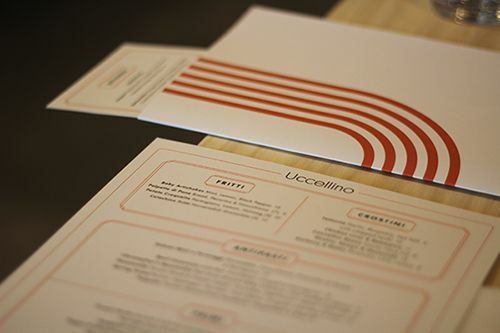 Uccellino's menu features traditional dishes you would find in Central and Southern Italy. 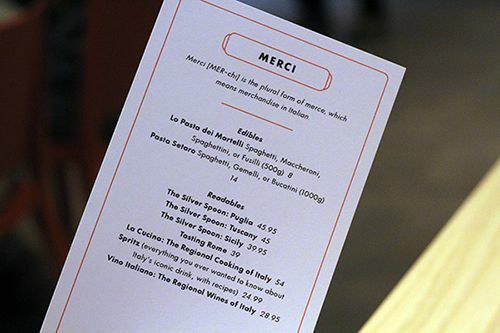 The menu is separated by multiple courses, in true Italian style: Fritti & Crostini, Antipasti, Primi, Secondi, Formaggi & Dolci. Among the multiple dishes there truly is something for everyone as the menu features some vegan and vegetarian options too. I didn't have trouble finding something I liked - my issue was trying to narrow it down to a few dishes as I was tempted by the whole menu! 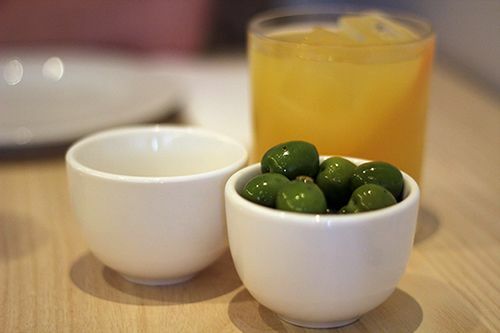 After ordering, every table gets a dish of olives for snacking. I'm not a huge fan of olives, but these green olives were brined beautifully with hints of orange and caraway, which complemented the buttery flesh and mild flavour. First to our table was the Potato Croquette ($10/5) made with parmigiano, lemon and nutmeg. The golden brown exterior had a nice crunch, like that of the delicious arancini at Corso 32. 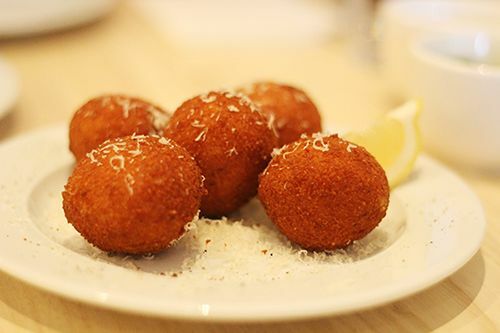 Breaking into the middle revealed a velvety mix of potato and fragrant parmigiano - a flavourful combination that makes these croquettes little umami bombs. 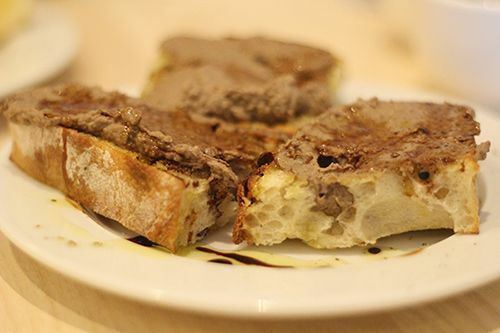 Our next plate was the rustic Chicken Liver & Balsamico Crostini ($11/3), where the pate was spread across three large, lightly toasted crostini. The chicken liver itself was smooth and well seasoned, and I enjoyed the contrasting sweetness from the balsamic drizzled overtop. 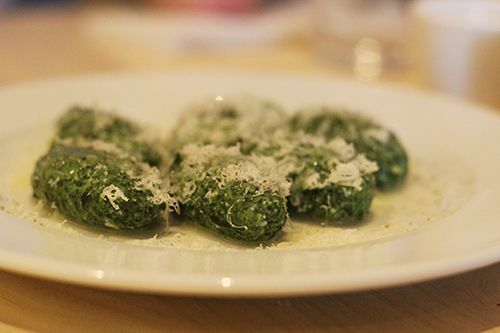 As we waited for our main courses to arrive, the kitchen sent out a plate of beautiful Gnudi Verde ($18). The six spinach and ricotta dumplings took up the flavour of the fragrant sage butter they were cooked in, and they were delicious. The light dusting of parmigiano was the perfect finishing touch to give them a bit more flavour without overpowering the delicate gnudi. 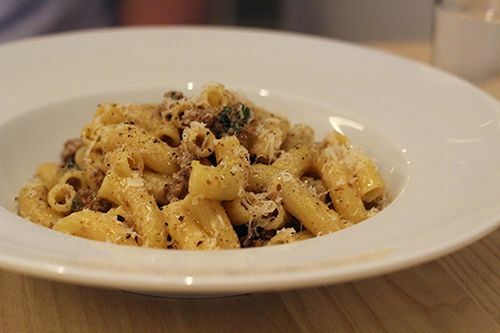 Unlike Corso 32 & Bar Bricco, Uccellino is utilizing dry pasta from Italy, so we had to try them out for our mains. The dry pasta from Pasta Setaro and La Pasta dei Martellii is exclusive to the restaurant in Edmonton, and diners can actually purchase packages to take home and cook. For myself I couldn't pass up the Mezza Maniche Cacio e Pepe ($17) with Sardinian pecorino and fresh ground black pepper. 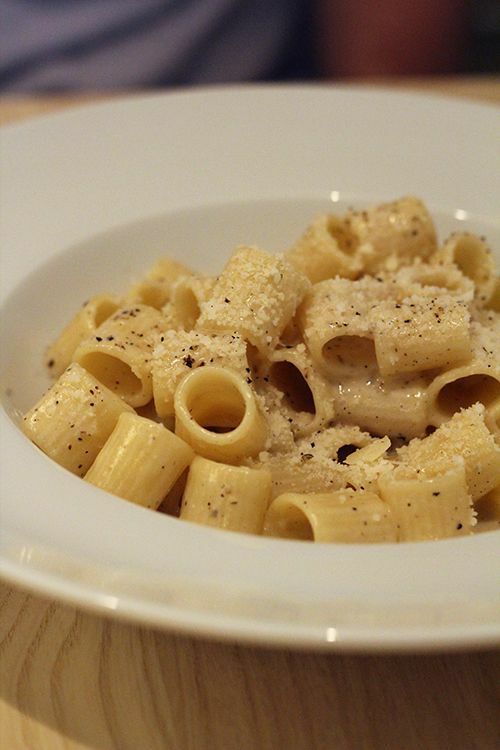 Although simple, cacio e pepe is one of my favourite ways to eat pasta, and this dish hit the spot. The pasta was al dente with a great bite, the pepper carried a bit of heat, and the sauce was rich and clung to every bit of pasta. We also ordered the Maccheroni ($19) cooked in a pigs head and prosciutto ragu bianco, and finished with a dusting of parmigiano. The dish had a nice proportion of meat to it and it was another great pasta with balanced flavours. The Dolci portion of the menu offers four desserts, but I was particularly drawn to the Amedei Chocolate Budino. A budino is a dessert similar to a custard or pudding, so I was surprised to see the budino presented in the form of a slice of cake. On the first bite I fell in love - the texture was similar to that of a dense mousse, and it just melts in your mouth. 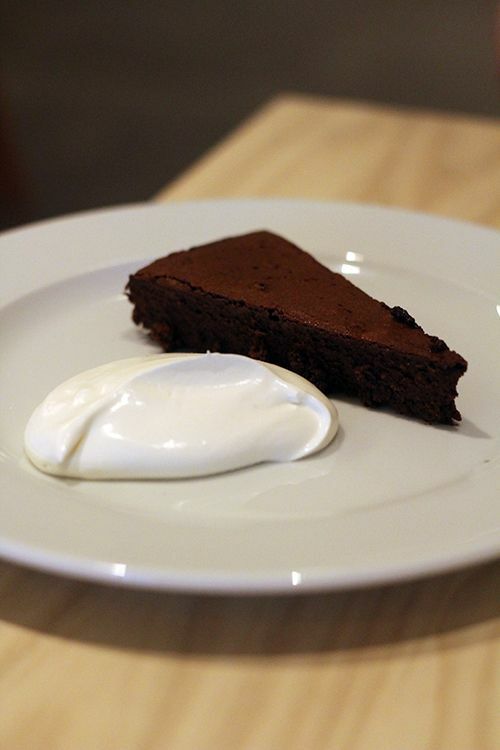 The dark chocolate had just the right hint of sweetness, and the dallop of creme fraiche on the plate had a bit of tang that complemented the chocolate incredibly well. If you enjoy the Amedei chocolate truffles at Bar Bricco, you'll love this dessert. I thought that Corso 32's Chocolate Torta and Panna Cotta were my top desserts in Edmonton, but this budino is making me reconsider! As mentioned, Uccellino is stocked with pastas for patrons to take home, priced at $8 and $14 depending on the brand. The restaurant will soon be stocked with books and cookbooks for purchase as well. Our visit was on the third opening day at Uccellino and we had a fantastic meal with exceptional service. I love that the restaurant is more casual compared to Chef Costa's other establishments, and the menu has a bit of a lower price point as well. 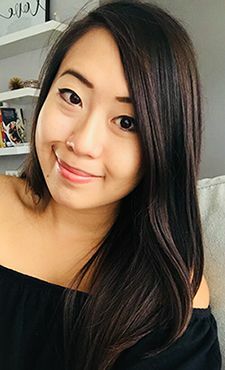 The menu is fairly extensive and may possibly change from time to time due to seasonality, but there will be something for everyone. The bigger space will allow for more patrons and hopefully shorter wait times, which I'm sure many Edmontonians will be happy about. 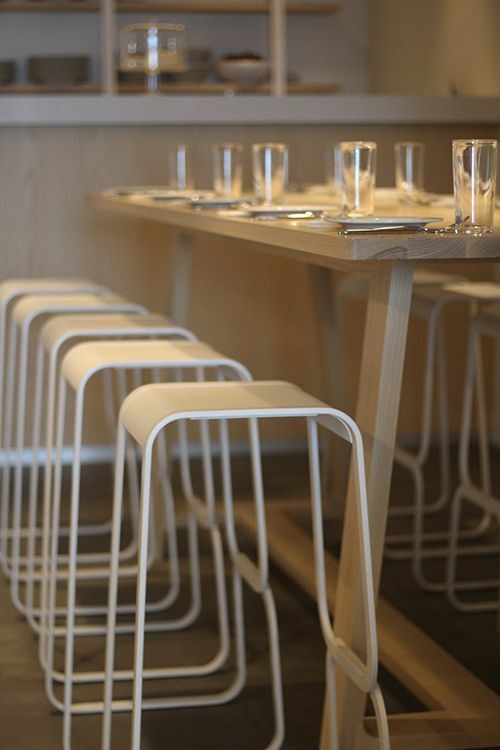 And with half the seats unreserved, that will allow for more spontaneous visits to the restaurant. The doors are now open, so make sure to stop by for dinner service from 5-11 PM Wednesday through Sunday!